“There is an ACL tear” – hearing those words will have an athlete or active person shaking in their boots. ACL tear commonly occurs in such sports as football, soccer, basketball, volleyball, and skiing. Because these sports commonly include jumping, changes in direction, and/or sudden stops. ACL tear affect us “non-athletes” as well. Knees are the most injured joints in my practice. Especially among those who had knee issues in the past or has a sitting lifestyle. When muscles surrounding the knee (ie: quads, hamstrings and calves) are not exercised regularly, they become weak and brittle. All it takes is a “bad move” and you’re in the emergency room. There are four ligaments that help to stabilize your knee. The medial and lateral Cruciate Ligaments (MCL and LCL) keep the knee from shifting side to side. The anterior and posterior cruciate ligaments (ACL and PCL) keep the knee from sliding front to back. ACL (Anterior Cruciate Ligament) is attached to your thigh and shin bones. It’s one of the four ligaments that help to stabilize the knee. It has a dense band of connective tissues. This helps to keep shinbone from moving too forward. The band also keeps a knee from hyperextending and most importantly rotation. ACL also protects knee from the excessive force. I.e. : a football player getting tackled from the side. To sum it up, ACL provides support and stability to a knee joint and is the most common injured knee ligament. In most ACL cases there is damage to cartilage or other ligaments. Hence, injury adds tenderness to the touch feeling. This happens when pressure on the knee is present. You will find it difficult to walk. Most lose about 25% of their range of motion upon injury. You will also feel like your feet will come out from under you. This is because of the fact the ACL provides support to your knee. Common within the first 24 hours. After any injury occurs and body’s natural inflammation response triggers. The tissues and muscles become inflamed (puffy) to protect and heal themselves from the injury. In some cases, pain and swelling may resolve by itself within the next 24-72 hours. Stretch, but not a tear. There will be some swelling and tenderness of the knee and the joint. You will have an unstable feeling during movement. A partial tear of the ligament(s). This grade of injury is very common when exercising. Especially happens when someone “overdoes” it at the gym, most commonly while doing leg press. This results in instability that caused your knee to give out. Swelling and pain are present. But you will still be able to somewhat control your movements. Not good news, at all. This type of sprain means you have completely ruptured or torn the fibers of the ligament. Interesting symptoms of grade 3 sprain are: you don’t typically feel the amount of pain one would associate with this injury. Yes, there is tenderness of the knee, swelling may be present. But the telltale signs you have a grade 3 sprain is lack of stability and inability to control movements. There is a constant feeling of your feet giving out from under you. 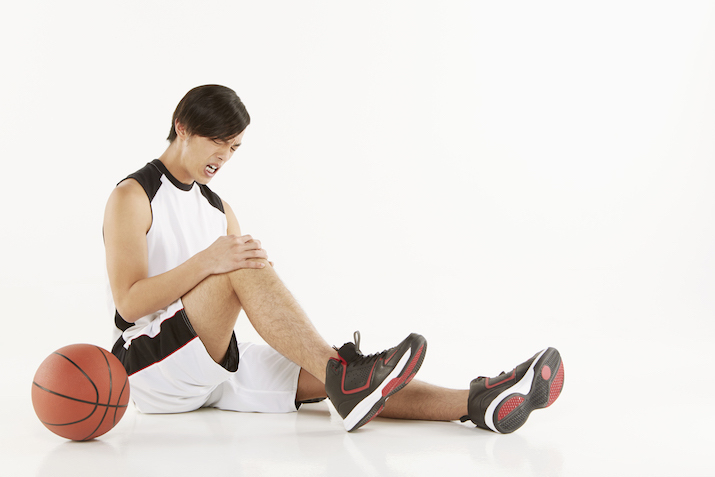 What to do when an ACL injury occurs? Within the first 72 hours of injury, it’s best practice to RICE: Rest, Ice, Compression and Elevate. Knee should be iced minimum 3 times per day, no more than 10-15 minutes per application. Definitely, seek medical attention as soon as possible. Your doctor can either X-ray your ACL to see if any bones have been broken or do a Magnetic Resonance Imaging (MRI) to better diagnose soft tissue damage. Physical Therapy. Specific exercises will be assigned to help to restore the function of your knee and strengthen the surrounding muscle groups to support it. Surgery. In the event, your ACL tear can’t be stitched back together. Surgery may be needed to restore knee stability. How long does it take for an ACL injury to heal? An ACL injury can be a frightening experience. When it comes to your recovery, it’s the best practice to seek different medical opinions. Also, when recovering from an injury, make a conscious effort to care about yourself physically and mentally.